Lowriders There are 60 products. Represent the Old School with your own Old Skool Script & Tail sports shirt. You can optionally personalize the back with baseball style Name and/or Number. Represent the Old School with your own Classic Script & Tail sports shirt. You can optionally personalize the back with baseball style Name and/or Number. 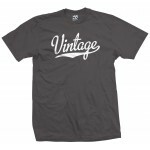 Represent the Old School with your own Vintage Script & Tail sports shirt. You can optionally personalize the back with baseball style Name and/or Number. 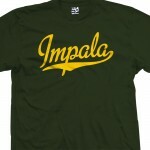 Represent the Low Life with the Impala Script & Tail shirt. Match the colors with your ride or your club. Optionally personalize the back with your own Name and/or Number. Beware of counterfeits. Our shirts last longer, look better, come faster. We offer more shirt colors, print colors and sizes and we're cheaper and nicer as well. Represent a classic lowrider with the 1959 Impala script with tail t-shirt. Match the colors with your ride or your club. Optionally personalize the back with your own Name and/or Number. Beware of counterfeits. Our shirts last longer, look better, come faster. We offer more shirt colors, print colors and sizes and we're cheaper and nicer as well. Represent a classic lowrider with the 1960 Impala script with tail t-shirt. Match the colors with your ride or your club. Optionally personalize the back with your own Name and/or Number. Beware of counterfeits. Our shirts last longer, look better, come faster. We offer more shirt colors, print colors and sizes and we're cheaper and nicer as well. Represent a classic lowrider with the 1961 Impala script with tail t-shirt. Match the colors with your ride or your club. Optionally personalize the back with your own Name and/or Number. Beware of counterfeits. Our shirts last longer, look better, come faster. We offer more shirt colors, print colors and sizes and we're cheaper and nicer as well. Represent a classic lowrider with the 1962 Impala script with tail t-shirt. Match the colors with your ride or your club. Optionally personalize the back with your own Name and/or Number. Beware of counterfeits. Our shirts last longer, look better, come faster. We offer more shirt colors, print colors and sizes and we're cheaper and nicer as well. 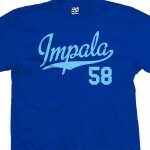 Represent a classic lowrider with the 1963 Impala script with tail t-shirt. Match the colors with your ride or your club. Optionally personalize the back with your own Name and/or Number. Beware of counterfeits. Our shirts last longer, look better, come faster. We offer more shirt colors, print colors and sizes and we're cheaper and nicer as well. Represent a classic lowrider with the 1964 Impala script with tail t-shirt. Match the colors with your ride or your club. Optionally personalize the back with your own Name and/or Number. Beware of counterfeits. Our shirts last longer, look better, come faster. We offer more shirt colors, print colors and sizes and we're cheaper and nicer as well. Represent a classic lowrider with the 1965 Impala script with tail t-shirt. Match the colors with your ride or your club. Optionally personalize the back with your own Name and/or Number. Beware of counterfeits. Our shirts last longer, look better, come faster. We offer more shirt colors, print colors and sizes and we're cheaper and nicer as well. Represent a classic lowrider with the 1966 Impala script with tail t-shirt. Match the colors with your ride or your club. Optionally personalize the back with your own Name and/or Number. Beware of counterfeits. Our shirts last longer, look better, come faster. We offer more shirt colors, print colors and sizes and we're cheaper and nicer as well. 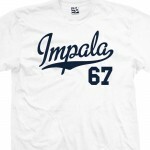 Represent a classic lowrider with the 1967 Impala script with tail t-shirt. Match the colors with your ride or your club. Optionally personalize the back with your own Name and/or Number. Beware of counterfeits. Our shirts last longer, look better, come faster. We offer more shirt colors, print colors and sizes and we're cheaper and nicer as well. 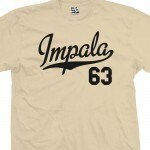 Represent a classic lowrider with the 1968 Impala script with tail t-shirt. Match the colors with your ride or your club. Optionally personalize the back with your own Name and/or Number. Beware of counterfeits. Our shirts last longer, look better, come faster. We offer more shirt colors, print colors and sizes and we're cheaper and nicer as well. Represent a classic lowrider with the 1969 Impala script with tail t-shirt. Match the colors with your ride or your club. Optionally personalize the back with your own Name and/or Number. Beware of counterfeits. Our shirts last longer, look better, come faster. We offer more shirt colors, print colors and sizes and we're cheaper and nicer as well. Represent the old skool with the Impala SS script with tail t-shirt. Match the colors with your ride or your club. Optionally personalize the back with your own Name and/or Number. Beware of counterfeits. Our shirts last longer, look better, come faster. We offer more shirt colors, print colors and sizes and we're cheaper and nicer as well. Represent the Fresh Prince or your classic ride with the Bel Air Script & Tail shirt. You can optionally personalize the back with baseball style Name and/or Number. Represent an American classic with the 1955 Bel Air script with tail t-shirt. Optionally personalize the back with your own Name and/or Number. Represent an American classic with the 1954 Bel Air script with tail t-shirt. Optionally personalize the back with your own Name and/or Number. Represent an American classic with the 1956 Bel Air script with tail t-shirt. Optionally personalize the back with your own Name and/or Number. 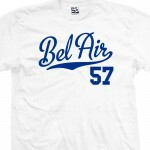 Represent an American classic with the 1957 Bel Air script with tail t-shirt. Optionally personalize the back with your own Name and/or Number. 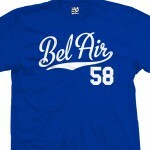 Represent an American classic with the 1958 Bel Air script with tail t-shirt. Optionally personalize the back with your own Name and/or Number. 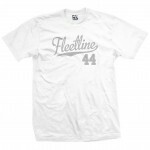 Represent a classic lowrider with the 1941 Fleetline script with tail t-shirt. Match the colors with your ride or your club. Optionally personalize the back with your own Name and/or Number. Beware of counterfeits. Our shirts last longer, look better, come faster. We offer more shirt colors, print colors and sizes and we're cheaper and nicer as well. Represent a classic lowrider with the Fleetline script with tail t-shirt. Match the colors with your ride or your club. Optionally personalize the back with your own Name and/or Number. Beware of counterfeits. Our shirts last longer, look better, come faster. We offer more shirt colors, print colors and sizes and we're cheaper and nicer as well. 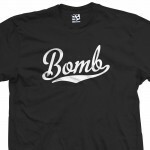 Represent a classic lowrider with the Bomb script with tail t-shirt. Match the colors with your ride or your club. Optionally personalize the back with your own Name and/or Number. Beware of counterfeits. Our shirts last longer, look better, come faster. We offer more shirt colors, print colors and sizes and we're cheaper and nicer as well. Represent a classic lowrider with the 1942 Fleetline script with tail t-shirt. Match the colors with your ride or your club. Optionally personalize the back with your own Name and/or Number. Beware of counterfeits. Our shirts last longer, look better, come faster. We offer more shirt colors, print colors and sizes and we're cheaper and nicer as well. Represent a classic lowrider with the 1943 Fleetline script with tail t-shirt. Match the colors with your ride or your club. Optionally personalize the back with your own Name and/or Number. Beware of counterfeits. Our shirts last longer, look better, come faster. We offer more shirt colors, print colors and sizes and we're cheaper and nicer as well. 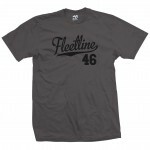 Represent a classic lowrider with the 1944 Fleetline script with tail t-shirt. Match the colors with your ride or your club. Optionally personalize the back with your own Name and/or Number. Beware of counterfeits. Our shirts last longer, look better, come faster. We offer more shirt colors, print colors and sizes and we're cheaper and nicer as well. Represent a classic lowrider with the 1945 Fleetline script with tail t-shirt. Match the colors with your ride or your club. Optionally personalize the back with your own Name and/or Number. Beware of counterfeits. Our shirts last longer, look better, come faster. We offer more shirt colors, print colors and sizes and we're cheaper and nicer as well. Represent a classic lowrider with the 1946 Fleetline script with tail t-shirt. Match the colors with your ride or your club. Optionally personalize the back with your own Name and/or Number. Beware of counterfeits. Our shirts last longer, look better, come faster. We offer more shirt colors, print colors and sizes and we're cheaper and nicer as well. 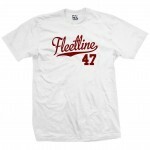 Represent a classic lowrider with the 1947 Fleetline script with tail t-shirt. Match the colors with your ride or your club. Optionally personalize the back with your own Name and/or Number. Beware of counterfeits. Our shirts last longer, look better, come faster. We offer more shirt colors, print colors and sizes and we're cheaper and nicer as well. Represent a classic lowrider with the 1948 Fleetline script with tail t-shirt. Match the colors with your ride or your club. Optionally personalize the back with your own Name and/or Number. Beware of counterfeits. Our shirts last longer, look better, come faster. We offer more shirt colors, print colors and sizes and we're cheaper and nicer as well. Represent a classic lowrider with the 1949 Fleetline script with tail t-shirt. Match the colors with your ride or your club. Optionally personalize the back with your own Name and/or Number. Beware of counterfeits. Our shirts last longer, look better, come faster. We offer more shirt colors, print colors and sizes and we're cheaper and nicer as well. Represent a classic lowrider with the 1950 Fleetline script with tail t-shirt. Match the colors with your ride or your club. Optionally personalize the back with your own Name and/or Number. Beware of counterfeits. Our shirts last longer, look better, come faster. We offer more shirt colors, print colors and sizes and we're cheaper and nicer as well. 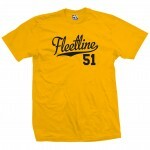 Represent a classic lowrider with the 1951 Fleetline script with tail t-shirt. Match the colors with your ride or your club. Optionally personalize the back with your own Name and/or Number. Beware of counterfeits. Our shirts last longer, look better, come faster. We offer more shirt colors, print colors and sizes and we're cheaper and nicer as well.